Mint and gold. *Sigh* So gorgeous. I LOVE the current challenge for Little Tangles and played along using one of my favourite stamp sets, So Very Blessed. I stamped and heat embossed the image in gold on vellum and used Kool Tak clear foam tape to adhere it over the patterned paper card base. A few gold sequins and some pink pearls finish it off. This card already went to my neighbours who are fabulous. They let us swim in their pool all summer which was MUCH appreciated considering all the hot and humid days we had. Gorgeous! 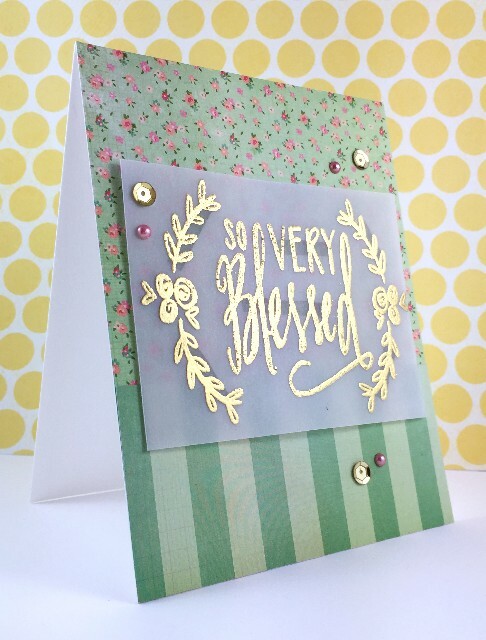 Love the gold embossing and those minty patterns! 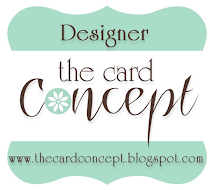 lovley card! 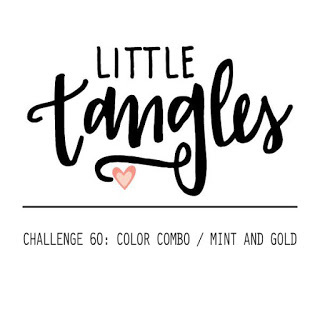 thanks so much for joining us over on the little tangles challenge blog!